The hearing to contest the denial of your unemployment compensation benefits is very much like mini-trial. 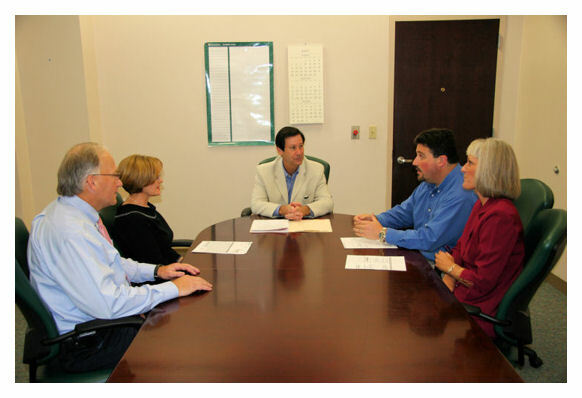 The employee and the employer find themselves sitting across from each other with or without legal representation in front of the administration law judge who will hear both sides, will allow both parties to ask each other questions and present their evidence and make a closing statements to support their position. Support your Arguments with Evidence. The rules of admitting evidence are far more relaxed at an unemployment appeal hearing than the formal rules of evidence in trial courts. Thus, almost all evidence is admitted, although given different value according to its weight and credibility. The best evidence you can present is having actual, unbiased witnesses show up with you and testify as to the truth of what you you will telling the judge. The second best evidence is declarations signed under the penalty of perjury by any persons who witnessed any conduct by you or your employer, relevant to the appeal. Make sure to make two extra copies of any documents you plan to introduce into evidence – one copy for the judge and one for the opposing side. Address Only Those Issues that are Directly Relevant to Your Claim. The biggest challenge that the parties to the hearing have is remembering that the administrative judge is only concerned with the most recent events that lead to termination. The hearing at the unemployment appeals board is not a hearing about harassment, discrimination, favoritism, defamation, retaliation or other civil claims. This hearing is strictly about whether the reason/s the employee was terminated disqualify that employee from the benefits. Generally, the burden is on the employer to prove that the employee should not receive unemployment benefits. An employee, who is otherwise qualified for unemployment compensation, will be disqualified if he/she voluntarily resigned or if he/she was terminated for gross/intentional misconduct or comparably egregious violation. The hearing judge gets annoyed and frustrated with the parties who bring their office politics and speculations about the workplace. The judge is not interested in hearing long stories about the history of employment and the background about the company. The judge wants to hear about the specific reasons for termination and see evidence in support of the parties’ arguments. Thus, the shorter and the more directly relevant your arguments are to the hearing officer, the clearer your position will be. Be Respectful and Courteous to All Persons Present at the Hearing. The administrative officer hearing your appeal has a significant discretion in making a decision in your claim, and therefore it is worth doing your best to come across as a likable, reasonable person. You should avoid at all costs being dramatic, interrupt your employer’s arguments or even worse – the judge or speak directly to your employer. Focus on the only goal you are trying to achieve at that hearing – to qualify for unemployment compensation benefits. This is not the time to close scores or prove that you were a good employee and that you were terminated unfairly.